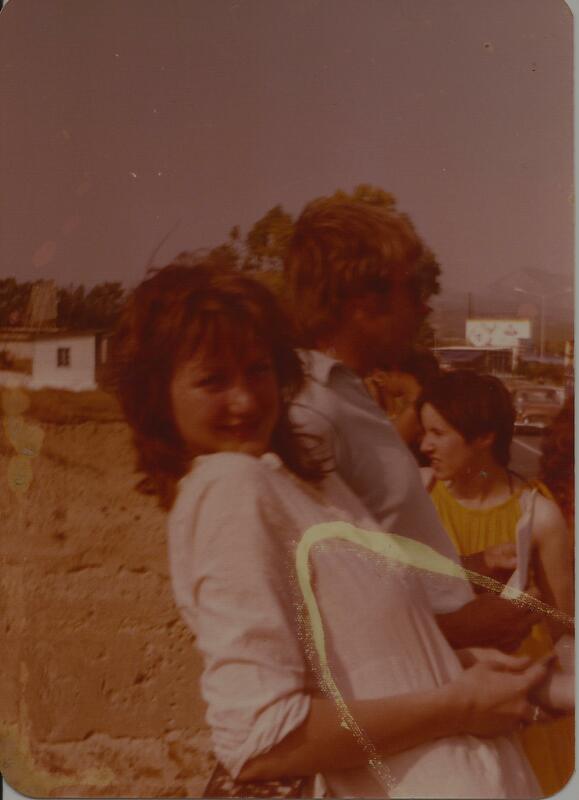 I first travelled to Greece in 1979. 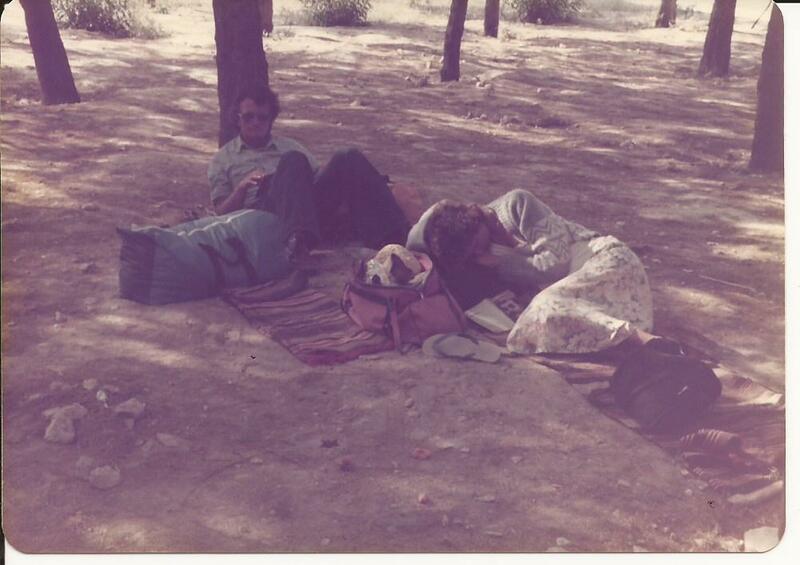 There were four of us travelling overland on a bus from London to Athens. Sara, my uni friend, and I had been working the summer at The Avon Gorge Hotel. It was rather a good summer job, as bar jobs go. My tips paid the rent, I had free food from the hotel, so with no other expenses, my wages paid for the trip to Greece. Our customers were a good mix of locals who tipped well, hotel guests visiting Bristol for business or pleasure and a weekly coach load of Americans who were doing Europe in a week, (think, If It’s Tuesday This Must Be Belgium). One of them thought the Clifton Suspension Bridge was a copy of The Golden Gate in San Francisco. That is a true story, I promise you. We even had the Kent County Cricket Team stay once. Amazing how a logo on a polo shirt can get you into every club in Bristol for free. But that is another story and this post is not about Bristol or a night on the town with cricketers. It is about Greece. My ex boyfriend had travelled to Greece the summer before with a guy named Rob. It was he who suggested I go to Greece and hooked up with Rob and his VW van. I suggested it to my uni friend and she was keen. We mentioned it to another girl who was working the bar with us, and she decided to come along too. We had also got friendly with one of the receptionists, Ellie Ross. Amazingly she was also working at the hotel to pay for her trip to Greece. Then we discovered that Rob, the man with the van, was her brother. The overland journey by bus was pretty awful. I have recollections of travelling though the former Yugoslavia, where old ladies increased the charge to use unuseable loos when they realised they had a coach full of Brits. Being confused that we were not getting served with food and found out that was because we asked for the menu. And I am pretty sure we left one passenger stranded in Zagreb. The highlights, for me, were travelling through The Mont Blanc Tunnel, and seeing the Geneva Water Fountain. The fountain was always shown in the 60s tv show The Champions. I also recall rather good food being served, with wine, at a French motorway service area. Coming from England, good food is not what we associate with a motorway cafe. Certailnly not in the 70’s. That is why we used to take flasks and sandwiches and picnic on the verge of the M1. And wine, while driving? We arrived in Athens and Ellie took us on the train to stay the night with the family of her ex boyfriend. In Kifisia. I am not sure that we had known then she had a boyfriend or where we were going to stay that night, we just let Rob and Ellie take the lead as they seemed to know what they were doing. Kifisia is the last stop, and is a leafy and affluent suburb. Water sprinlers kept the manicured lawns perfect. Chilled water was kept in Gordon’s Gin bottles in the fridge. The decor was sumptuous. One night of luxury. Anthony, her ex, and Ellie had met in England at University. His mother was English and his father was Greek. They had met as spies during the war. He was now something very important in the government. And I was staying in their house. 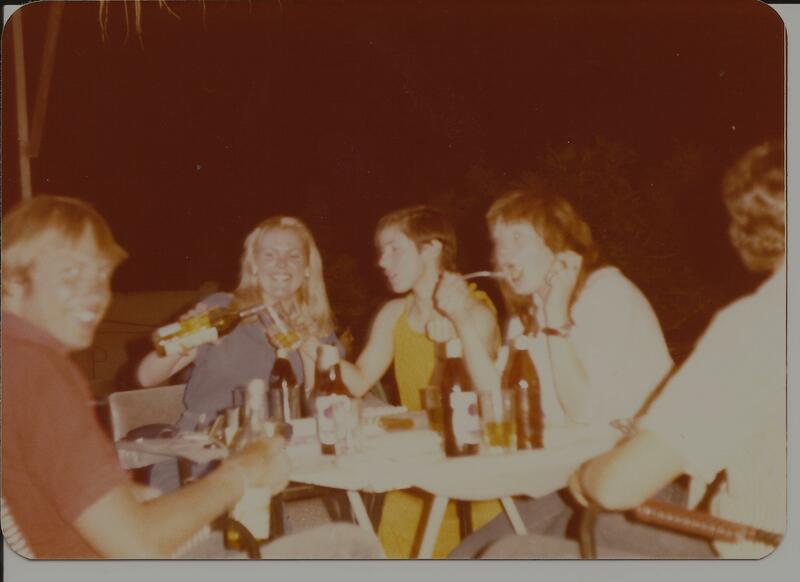 That night the family and friends took us swimming off the rocks and afterwards for dinner in the hills. 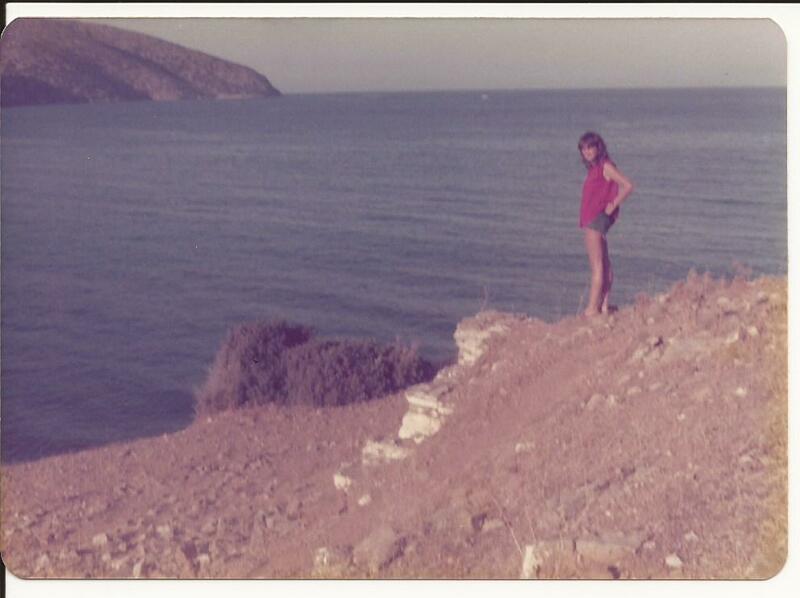 And that is when my love affair with Greece began. I recall piles of food coming out, Greek Salad, lamb chops, chicken and potatoes, retsina flowing and wondering how I would be able to afford this. The bill, once split came to about £1. 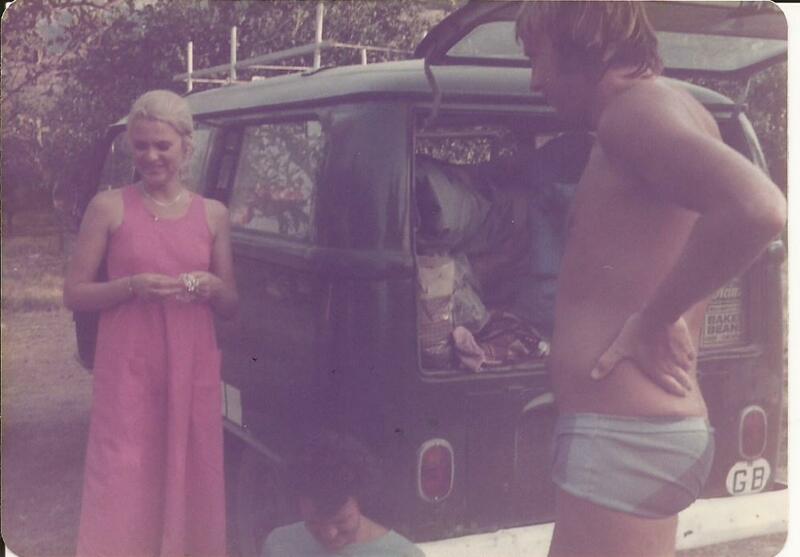 The next day, Rob came and picked us up in the ancient VW. He had one other passenger, John, from New Zealand. We camped in Athens and went to the Wine Festival. Nursing hangovers from hell the next day we set off around the mainland, visiting The Acropolis, the Corinth Canal and Mycenae. For someone who had studied and loved Classical Studies this was a dream come true. One night we went to see The Trojan Women in a Greek Ampitheatre. I had studied the play at school and now I was watching it in Greek, in Greece. 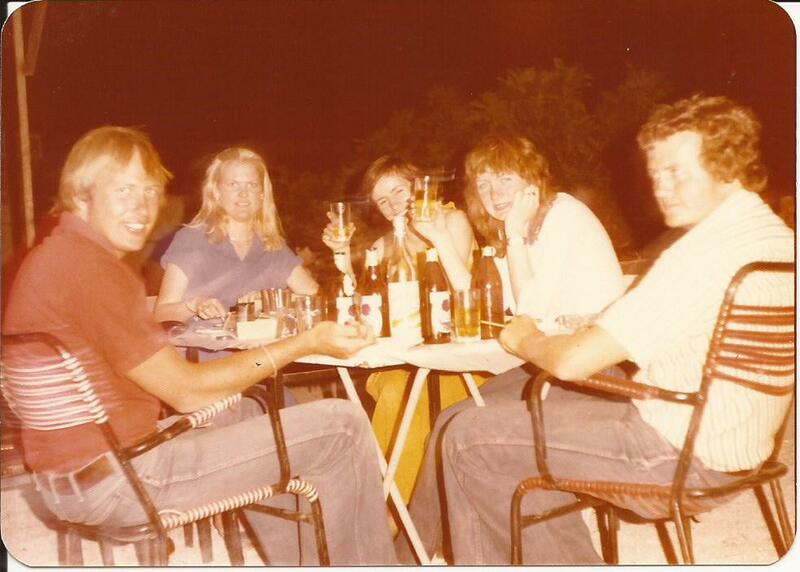 Afterwards we went to a taverna that was full of young men who were in the army on on Naitonal Service. They kept sending wine to our table. We later set off to the beach to camp for the night. Someone decided we would have a disco in the van. We got sort of arrested, a long night at the police station ensued. Only after a lot of waving of arms and shouting did Anthony and his sister mention who their father was. We were then allowed to leave. We were woken in the morning by the fishermen whose boats we had slept in. After a more peaceful nights camping we left the van and took the foot ferry over to Aegina and Spetes. Rob then decided to go to Piraeus and see where we could go from there. By then we were all so laid back we had decided that we were only allowed to make three decisions a day between us. 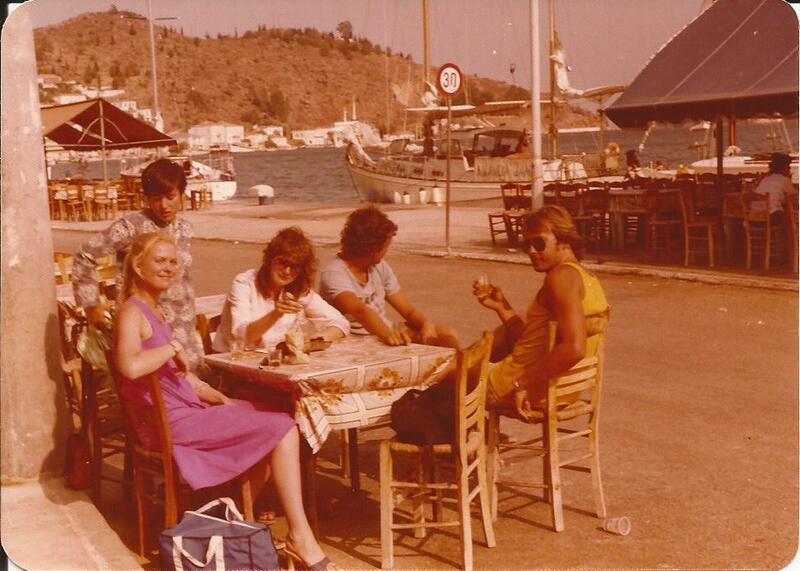 Cathy had decided to run of with a Greek man after Spetses, so it was just the five of us who decided to go to Crete. 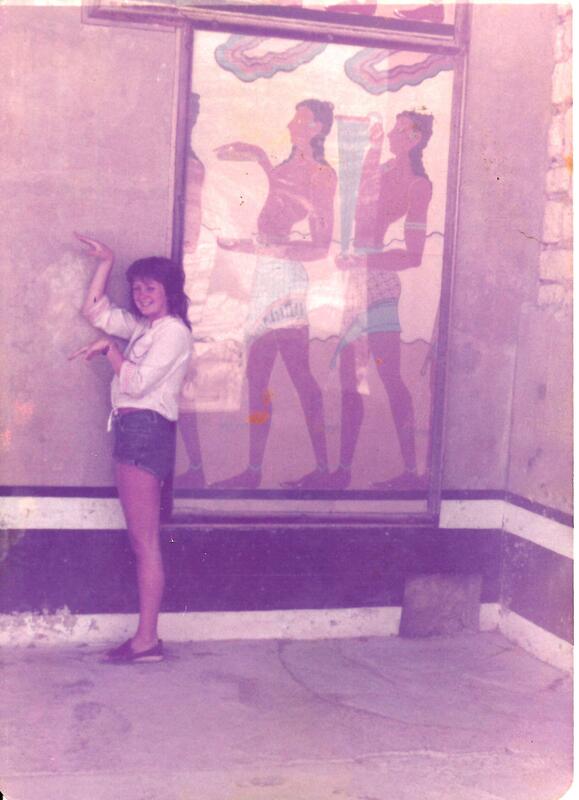 Again, how excited was I to be visiting Knossos. Things I had read about at school, now I was actually there. We camped here just outside Agios Nikolaos. When I returned to Crete in the 90’s all this had been built on. Five star hotels stealing the views. But all things had to come to an end, and we had to say goodbye to Crete. 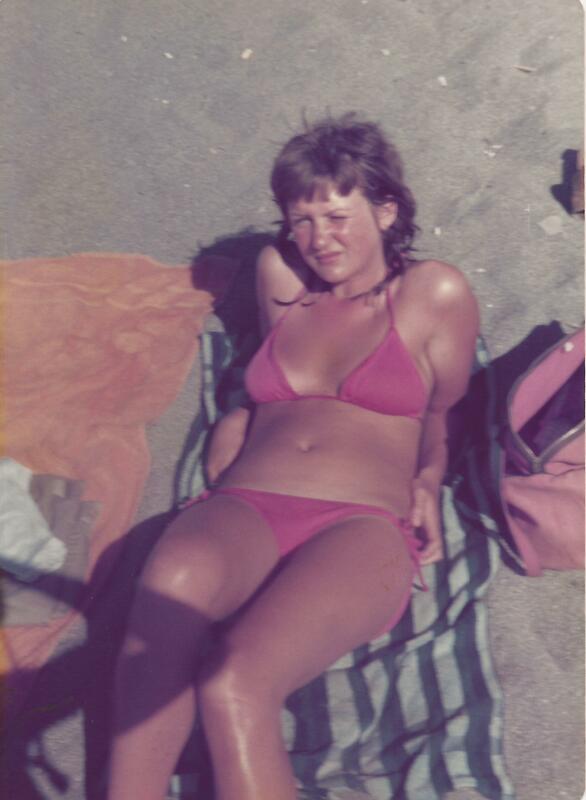 This was the last day, just outside Heraklion, making the most of the beach. OMG was I that brown and thin? And waited in the shade for the ferry back to the mainland. I am going back to Crete next week. The flight is booked and one night in Heraklion. Then it is off to the port, to get a ferry and make only three decisions a day. One will be to go to Santorini to keep the last promise I made to my mom. To reunite her with her friend the wind. 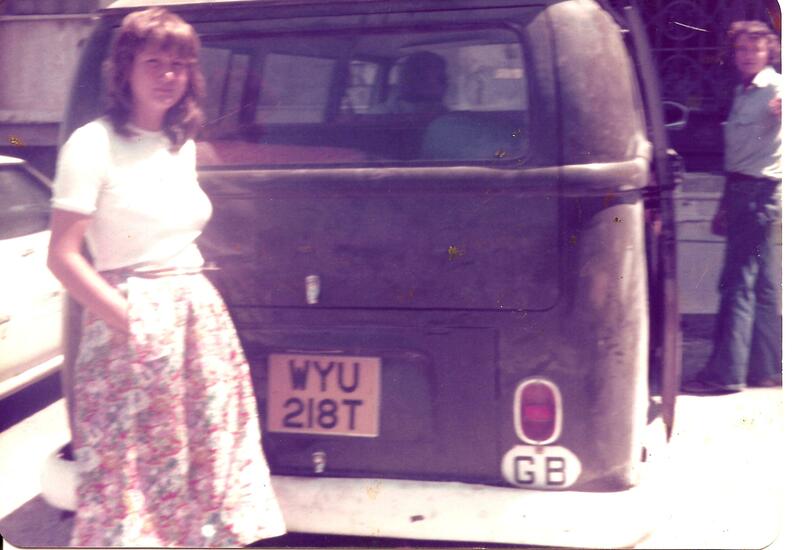 This entry was posted in Europe, Greece, Travel and tagged Avon Gorge Hotel, Back Packing, Bristol, Crete, Greece, Santorini, VW Camper by Travelling Coral. Bookmark the permalink. Great story – I enjoyed reading it. In 2012 I returned to Kos after almost 30 years and was surprised how much it had changed. It was fun to compare old and new photos. Thanks for commenting. Hoping not too much has changed this time round.